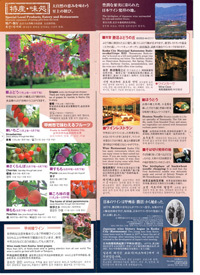 "Dried persimmon" can be seen in autumn. 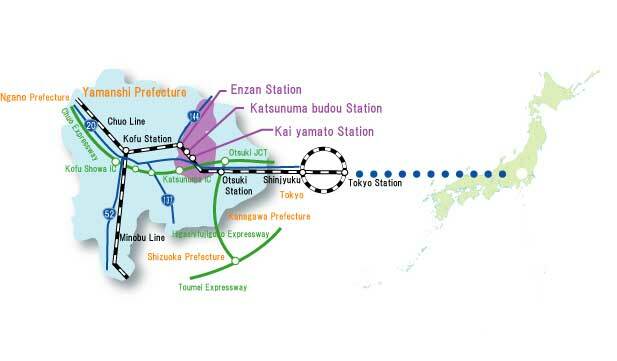 Koshu City is a city located in northeast of Yamanashi Prefecture. 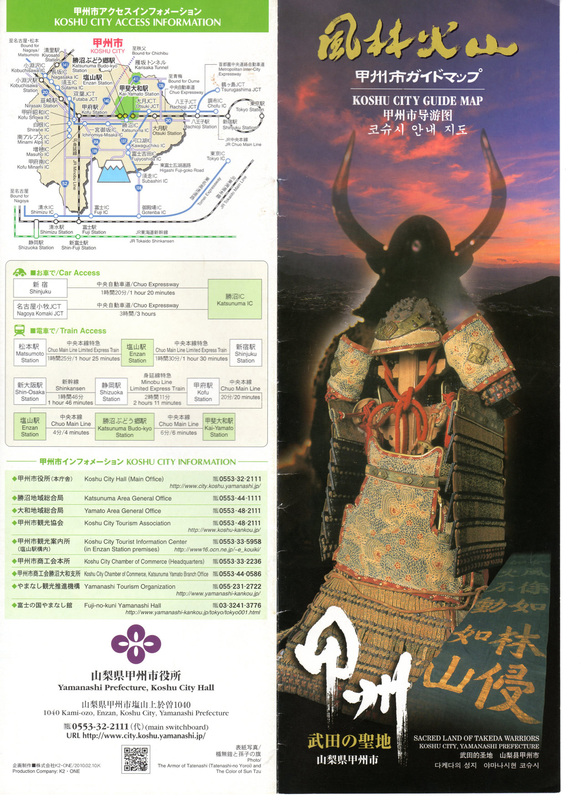 The city is an area of historical site related to the three successive lords of Takeda.Also, as the first wine brewing city in Japan, today it remains reputable as the country's leading grape and wine producer, and is proudly known as the 'fruit kingdom'. 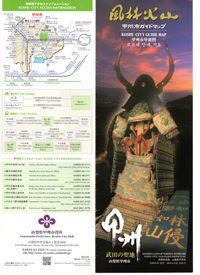 Surrounded by historic mountains and an abundance of nature, many people are attracted to the city's seasonal sceneries. 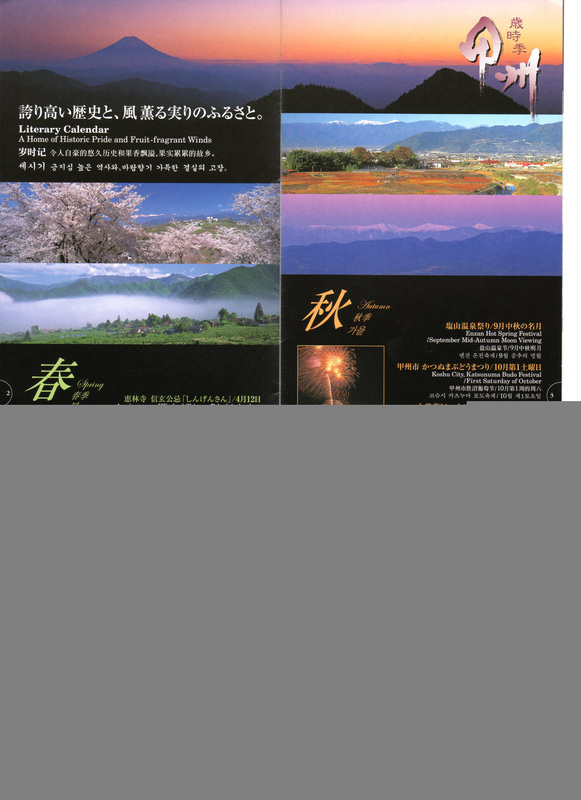 Take in the richness of nature, enjoy the fruit farms as you discover as you discover the history and culture of Koshu City. 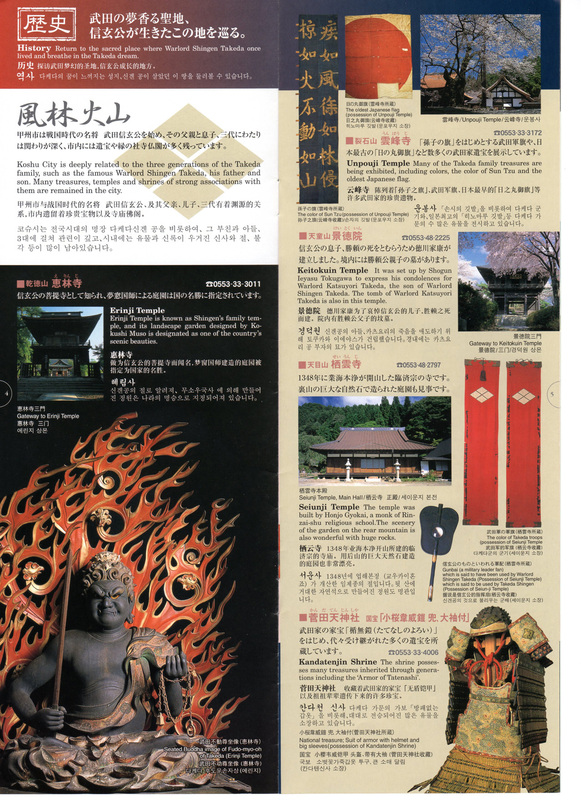 Erinji Temple is known as Shingen’s family temple, and the landscape garden by Kokushi Muso is designated as one of the country’s scenic beauties. 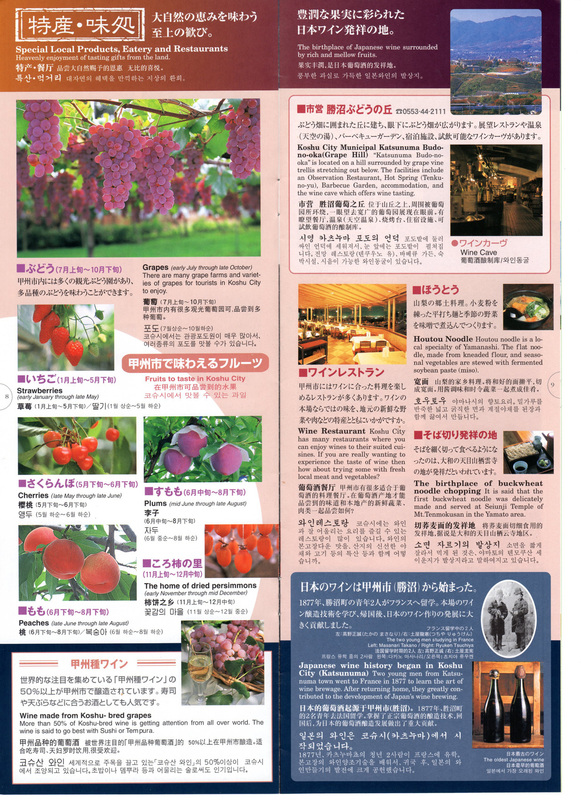 ※This content refers to the Koshu City guide book. In "Shingenyakata", it can eat local specialties "Dissipation". 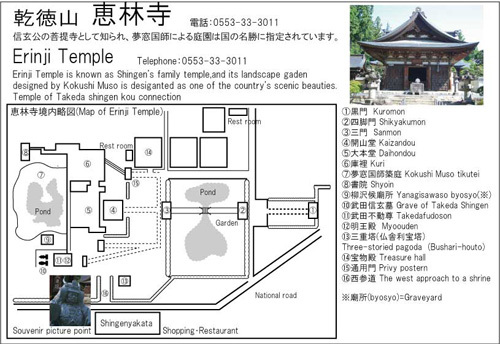 It is 1 minute on foot from "Shingenyakata" to "Erinji Temple". 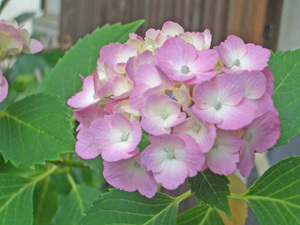 In "Erinji Temple", it enjoys cherry blossoms in spring and it can enjoy the hydrangea flower at the early summer. 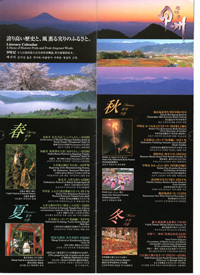 ▲Local specialties｢houtou｣　▲Local specialties "ozara" ･･･ Version in summer of "houtou"